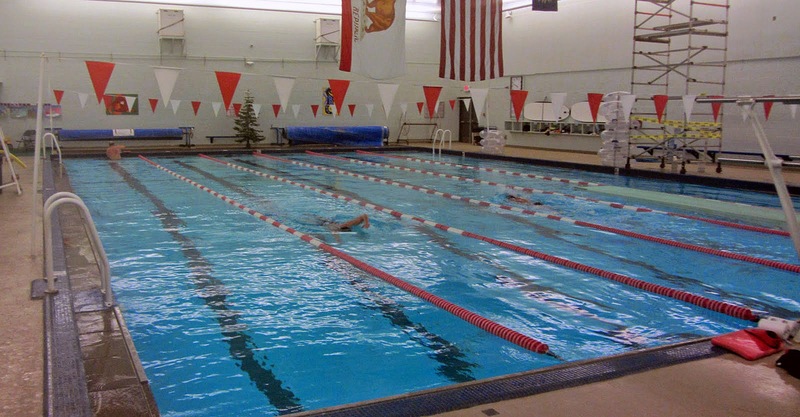 The proposed aquatic center that was approved by the town’s planning commission in 2013 is having trouble with funding. The 25 yard, 8 lane pool, diving area, and 2,500 foot leisure pool was estimated to cost $7.2 million. District was told to cut more than a million dollars from the project. The Tahoe Daily Tribune is reporting an estimated $1.5 million in cuts have been made. The cuts include cost savings to the pool building, cheaper materials in the pool construction, and elimination of the warm water pool. The main feature that will remain is the 8 lane “competition” pool in an enclosed building. This pool will replace the old 6 lane Truckee Donner Community Pool at the High School on Donner Pass Road. The new pool and building will be adjacent to the Truckee Community Recreation Center at 8924 Donner Pass Road. The Truckee Community Recreation Center opened on December 5, 2009.